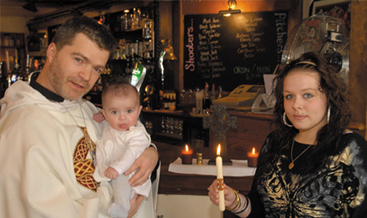 Mark offers traditional Baptism ceremonies (Christenings) at a mutually convenient venue or location of your choice. His Baptisms are legally registered and the candidate is given a certificate and special candle used in the service. God parents are also given a certificate to keep as a reminder of their responsibilities and the important vows they’ve made on behalf of the child. Some people come to Mark because they’ve experienced difficulty in arranging services through their local church. Others simply wish to have more freedom in the style and content of the service. Mark’s inclusive and all embracing approach expresses his deep belief that God sees all people as His children. 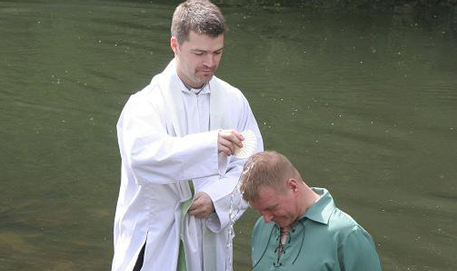 Baptism, though having many other layers of meaning, symbolises and celebrates that truth. The Sacrament of Baptism is a gift of grace and no one is prevented from being baptised because of cost. Mark offers options in addition to an official Baptism. The family may choose a Christian service of Thanksgiving. Others may prefer something more eclectic, including material from other faiths.